We’ve got an exciting feature update today. If you login to your Vend account, not only will you see our brand new navigation and look, but you’ll have access to our completely revamped Vend Reporting. With the new Vend Reporting, you get all the analytics tools you need to understand your business and make the right decisions to achieve retail success. It’s customizable and flexible. Build your own reports using a wide range of variables, and use filters to get exactly the information you need. Quickly and easily dive into your sales data to see how your physical and online stores are performing, what products are making you the most money, who your top-selling salespeople are, find your best customers, identify any problem areas that can be improved, and much more. You’ll find the new Vend Reporting under “Reporting” in the new menu, but all your other important links are in the same place. The older version of our Reporting suite has been removed, but you can run the same reports that you’re used to in new Reporting. Check out this handy guide to see how. If you want to learn more about using Vend Reporting you can join a live webinar, read our step-by-step guide, or find a Vend Expert in your area to help you out. Multi-dimensional reports – Dig deeper into your data and easily get to the details by adding multiple dimensions to your reports. Dynamic filters – New filters allow for deeper insights. A range of values – from outlet, to customer to sku, can be added on top of each other to get to the bottom of things. New measures – You can now report on average basket size, average sales value, and margin for all sales report types. Retail Dashboard – Available with Advanced and Multi-Outlet plans, the Retail Dashboard offers a real-time, mobile-friendly snapshot of how sales and outlets are performing for key metrics. Sales by brand report – See what your top performing brands are across all your outlets. Report on deleted registers, products and outlets – You can now pull information on products, registers or outlets that you’ve deleted in the past to compare them with current sales. CSV downloads as ONE file – Download all your data as a single file instead of many, no matter how many rows your report has. Advanced datepicker widget – Easily pull any date range you want to report on with added functionality to the datepicker widget. Improved performance – Significant speed improvement ensures a smooth experience and helps you get the answers you need much faster. With the new Retail Dashboard, you can quickly get a snapshot of how your stores are performing using simple-to-understand charts, and easily identify important trends or problem areas. Your Retail Dashboard is mobile friendly, which means you now have access to all your important store information, right in your pocket. 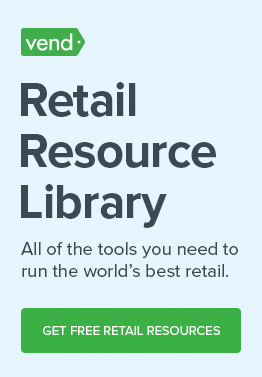 The Retail Dashboard is available for all our retailers to try until May 31st, 2015, after which it’ll only be available for the Advanced and Multi-Outlet plan. Webinars – Get a live walkthrough of all the new features by joining one of our quick (and free) training webinars. Join an upcoming webinar. Step-by-step Guide – Check out our Help Center article on Vend Reporting to get a step-by-step guide on how to use all its features. Read the guide. Vend Expert – Find a Vend Expert in your area to help you learn the ins and outs of Vend Reporting right in-store. Find a Vend Expert. Where can I find the Popular Products report? You can get to the Popular Products report by clicking on the ‘Popular Products’ link in the Vend Home page (I’ve attached a pic to show you where to find that link). This will take you to a report which sorts your products by the number sold. If you want another handy measure to find your popular products, you can go to the Popular Products link and change the ‘Measure’ dropdown to ‘Sale Count’. What this will show you is how many different sales that product has been a part of. This can help you understand how popular the product is with customers. 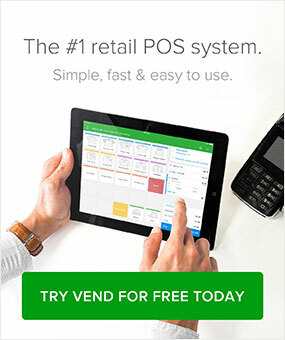 If you want to find out more about using Vend Reporting, I highly recommend joining one of our live webinars (https://attendee.gotowebinar.com/rt/8014705658844954881) or checking out the step-by-step guide (http://support.vendhq.com/hc/en-us/articles/203792370-Reporting-in-Vend). would have appreciated a bit of a heads up as to these changes before they actually happened. Your new face-lift is nice but took our organisation by surprise…..
We’re really sorry this update took your team by surprize. Thanks for your feedback though. This really helps us learn how we can do better next time! AGREE. No consultation. Over 15000 businesses affected. Even the treasurer asks nicely before making changes. And if the changes arent popular they dont happen. Duh! The new Retail Dashboard and all the charts and trend graphs in there are mobile friendly, and will resize to fit on your iPhone when you load it up. The other report pages (such as Sales, Payments, and Inventory reports) aren’t mobile friendly yet though. Thanks for your reply about Popular Products – have found it now. Like Ben below this update caught us a bit by surprise, shortly before our end of day close up reporting. It would be great if there was a print friendly/pdf option for common reports, in addition to the Export CSV option. Any plans for this? Printer-friendly reports are a really good idea, Guy. It’s not something we’re working on right now, but I’ll make sure the team knows we’ve got retailers looking for that functionality. An update long time in coming for sure. I haven’t had too much time to explore it, however there seems to be something missing that is HUGE for us. Back when you guys added the tax groups function I sent in a ticket saying that tax group are not reflected in the reports. I was told that this would be looked at for the upcoming reports update. Well it still isn’t in. You have the tax groups function, but it isn’t reflected in the reports, not even in the report that is specifically to show taxes! To me, the new reporting was a major downgrade. And it would have been nice to be notified that you were going to eliminate so much reporting functionality in advance. 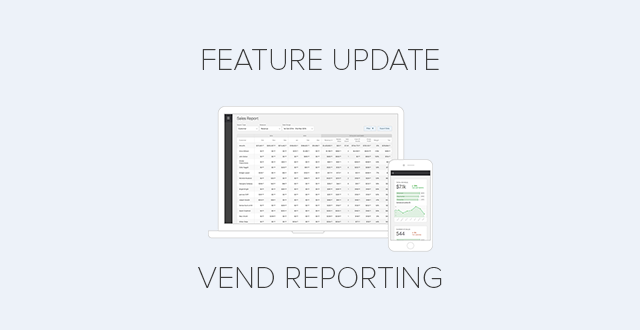 Vend went from an extremely powerful, flexible reporting system to a pretty, but extremely limited, reporting system. One of the major reasons I chose Vend was the robust reporting. Now they are in line with Shopify and others. Agree 100% – major downgrade. Speak to your customers – they are your best input into your design!!! Agree that Vend (and all subscription software providers) should be VERY WARY when making changes to their offering. We all subscribe to a known product having done research prior to purchase. When Vend alters their offering (reporting, product search), we are no longer getting what we paid for. Vend and others need to LISTEN TO THEIR CUSTOMERS before acting. Loving the new reports however have lost functionality in a couple of key areas….can you tell me where I can now find this info? 1. What is my total stock value…used to be easy to find now its dissapeared! 2. Sales by product…once to be able to click though from there to see item details such as stock on hand which was useful when ordering. On the new sales reports cant do that which means have to then go and seperately search that product which is very labourious. Also anywhere I can get a report that shows sales and current stock on hand?